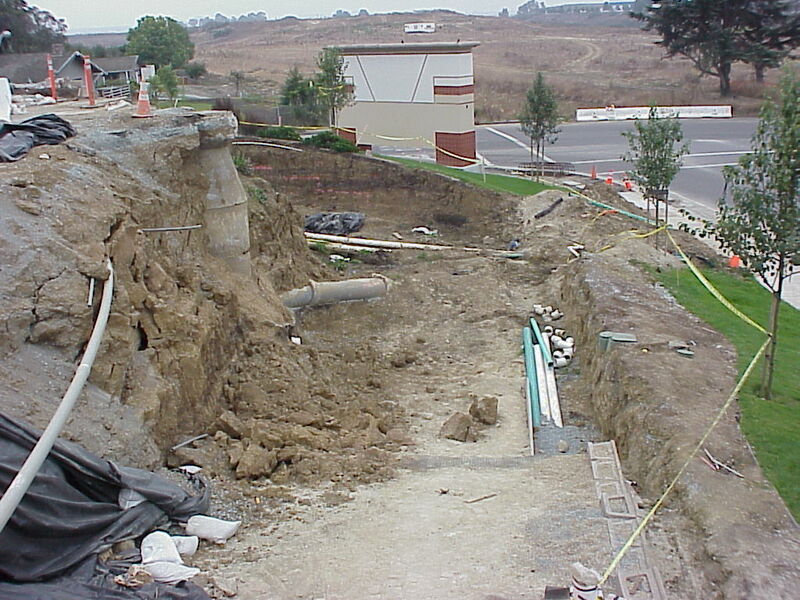 Groundwater is the primary cause of many geotechnical problems. If not properly controlled, groundwater can cause retaining wall movements. 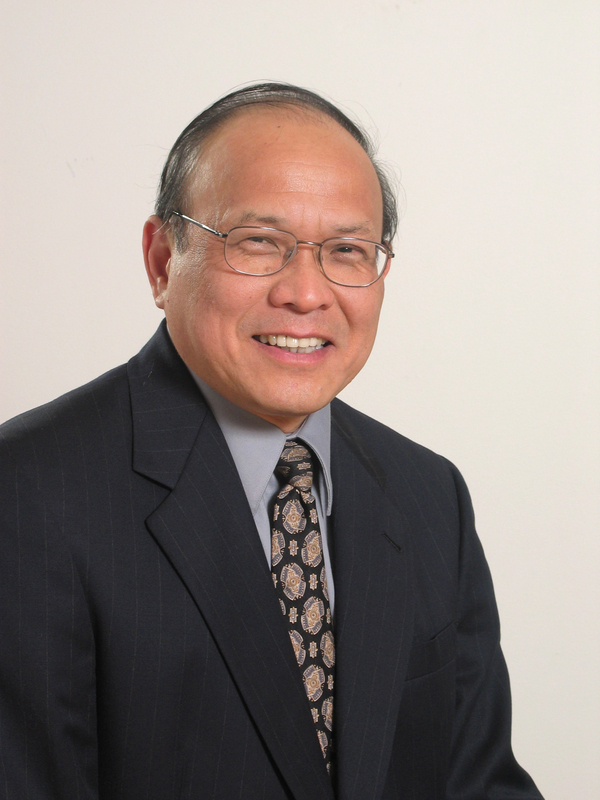 A case history of a retaining wall, where groundwater and inadequate subdrains contributed to its failure, is presented in this article written by Principal Engineer Hadi J. Yap, PhD, PE, GE. 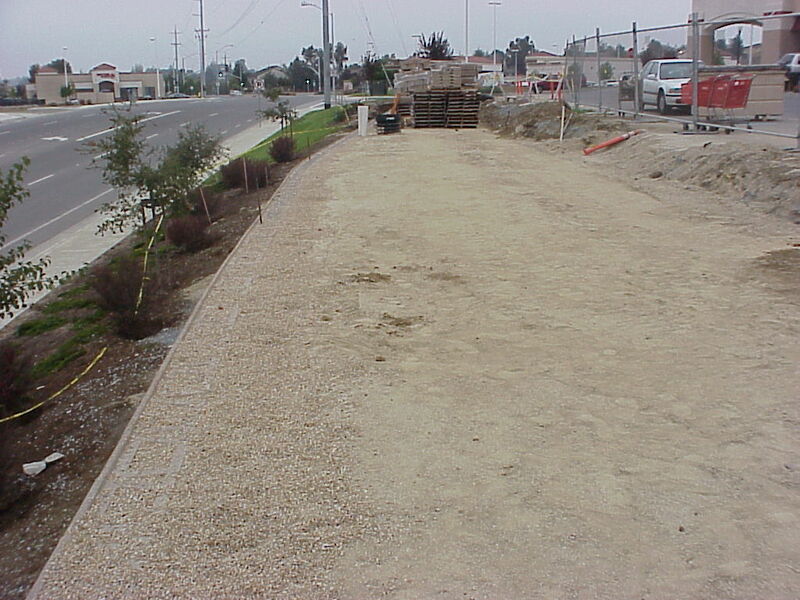 In the late 1990s, a segmental retaining wall was constructed for a shopping center parking lot in Northern California. The wall consisted of masonry blocks tied to geogrid layers, which were placed horizontally in the backfill. The wall was 700 feet long and of varying height up to 17 feet. It was designed with two subdrains, one behind the masonry blocks and the other (rear) behind the geogrids. Storm drains were also installed behind the reinforced soil zone. Leaking Storm Drain – During the reconstruction of the wall, it was discovered that the storm drain pipe had leaked because inappropriate gaskets were installed. Missing Rear Subdrain – The specified rear subdrain was not installed. Design review indicated that even if it had been installed it was too short to have been effective. Missing Outlet Drainpipes – The design specified a drain pipe at the bottom of the front subdrain. However, the outlet pipes were not installed. This omission allowed water to accumulate in the subdrain and increased the pressure against the segmental blocks. The case was ultimately settled out of court.